Can you help fill in the missing names in this picture….? 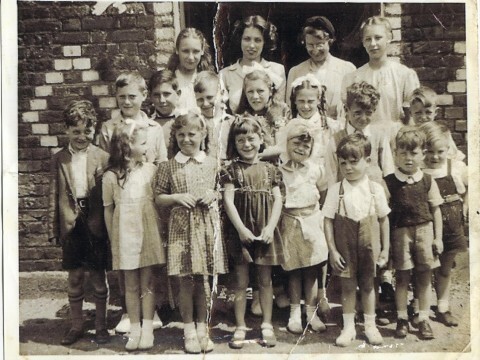 Top Row, L-R: Shirely Davey, Joan Clark, Miss King, Sylvia Davey Middle Row, L-R: Peter Iveson, (…..Goodwin? 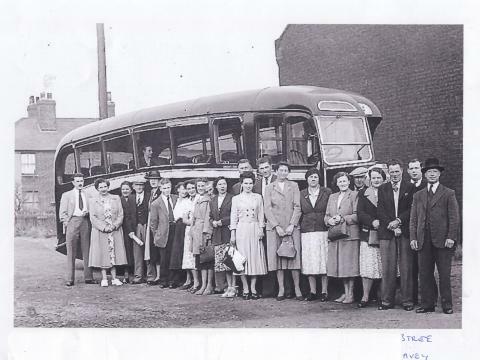 ), Charlie Hussey, Lily Hussey, Maureen Stone, Alan Little, Eddie Gibbons, Bottom Row, L-R: (……….? ), Rosemary Iveson, Maureen Langford, Gloria Goodwin, Ethel Bones, Victor Bones, Paul Syvrett. 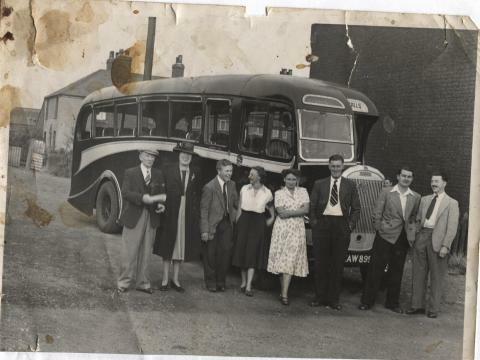 Charabanc Outings -Do you know the missing names? Do you recognise anyone in this photograph?